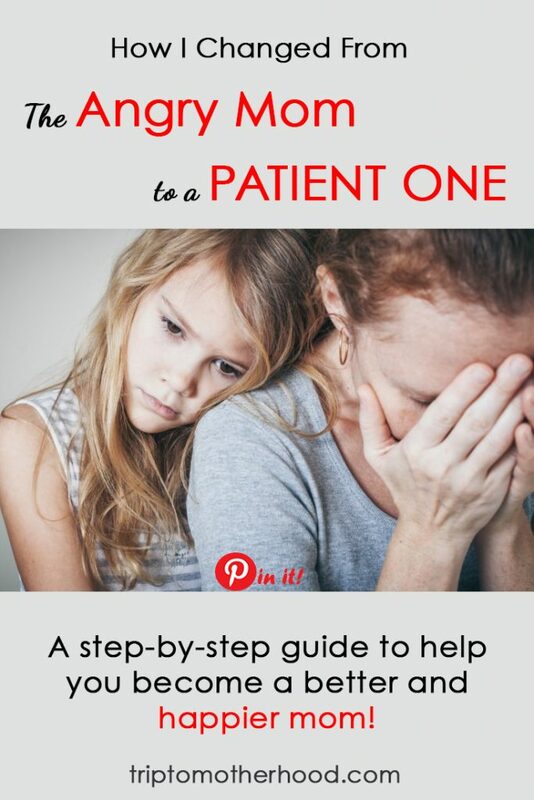 Quite often being a patient mom (or a patient dad for that matter) seems not an easy task. Even though we all know that patience is a virtue, in some circumstances it’s a hardly attainable one. I used to consider myself a very patient person. So logically I thought I would be the most patient mom the world had ever seen. And that’s where the fun begins because when I had a daughter, or rather when she got to her toddler age, I started seriously doubting my innate ability to remain calm. However, I’ve always believed that children come into our lives to teach us some valuable lessons, and keeping patience with kids is one of the greatest and toughest ones. 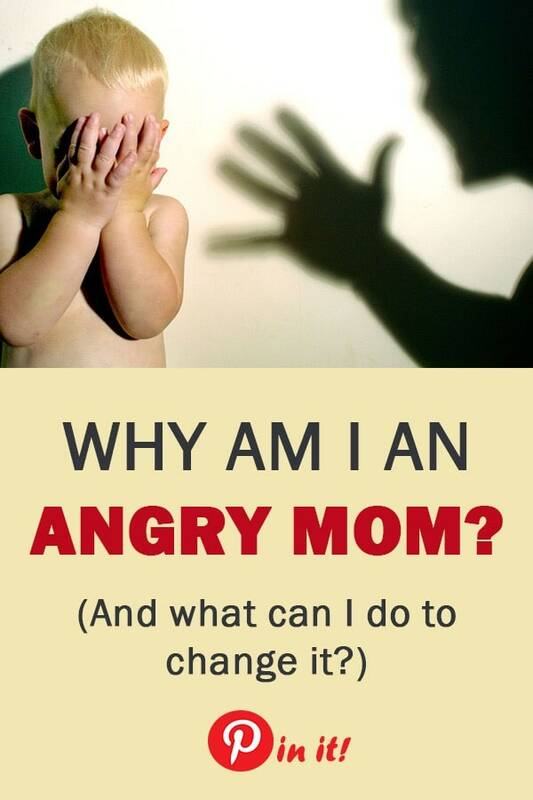 Both moms and dads are prone to lose their temper from time to time. More frequently it happens to mothers as they tend to spend more time with their toddlers and have fewer opportunities to “escape” to a calmer and more predictable work environment. Let’s explore some reasons why mothers fail to act patiently and discover some ways to help you be the most patient version of yourself. Some links in this post are affiliate links which means I receive a tiny commission at no expense to yourself every time you click on the link and buy a product. This helps me support myself and my little girl and continue writing articles. Thank you for reading! Even though we love our children dearly, they’re not everything that may mean a lot to us in life. We have our favorite pastimes, sport routines, jobs that we love (and sometimes do from home), friends to talk to on the phone. But children are extraordinary at coming up to us and demanding our attention just when we’re about to get to this very important thing of ours. So, if what they’re asking is not a matter of life and death, we may lose our patience easily. There’s a factor of tiredness building up gradually and turning into stress. I think it’s specifically true for those of us who want to be a perfect wife, a perfect mom, a perfect homemaker and/or money-maker – all in one day. Hormonal imbalances during the breastfeeding period and PMS also get in our patience’s way. Suffering from depression and not being fully aware of it can disturb a woman’s wobbly emotional balance. Another cause is frustration from failure to control our kids, impose our wisdom on them, get them to listen to our requests and to do what we expect them to. The emerging and strengthening habit of instant gratification due to the times we live in and cannot resist. We have got used to getting what we want immediately, without waiting. For example, after we post something on our social media, we get instant notifications of someone viewing, liking, and reposting it. Or, when we have read or seen a piece of something very interesting, we don’t bother to wait until we meet with our friends or family to tell them about it, we just click the share button. In general, people nowadays tend to read short articles instead of books, watch the shortest YouTube videos instead of full-length movies, seek high-speed Internet for their homes instead of opportunities to have long walks with their families and friends in a park or on a beach. We are rushing through our lives instead of savoring their every moment, so no wonder that kids stop us in our tracks because they naturally live in the present. If you’ve identified yourself with any of these triggers, that’s great! By admitting it you’ve just taken yourself a step further on the road to more patience. Keep reading to see what you can actually do to help yourself get more patient. In the midst of an argument with your child, when feeling that impatience is rising up inside you, raise your head up and count to 40 looking at the ceiling/sky. Take 3 deep breaths and look back down. This practice will slow you down a bit, and you may get a fresher look at the situation that triggered you in the first place. Physically remove yourself from the situation for a while. Walk out of the room, go to the bathroom, or just step away a couple yards when outdoors. Engage in a totally different activity for as little as 3-4 minutes: wash some dishes, make yourself a cup of tea, watch a cute kitten/puppy video on YouTube, listen to your favorite song, put laundry into the washing machine – whatever possible to take your thoughts away from the issue and cool your emotions down. Go into another room and tap on your impatience and all the accompanying emotions like anger, anxiety, frustration, desire to control. You may want to get familiar with the technique beforehand in order to then use it whenever you feel like it. Consciously say to yourself, “it is tough being tiny”. Let it become your mantra which you repeat to yourself when things are getting heated up. Wouldn’t you agree that approximately after 18-24 months we start perceiving our babies as small grown-up people who know how to behave and what to do in certain situations? But in fact, they do not and they are not. They are in the process of learning what is good and bad, what is acceptable and what is not, what is dangerous and safe. They’re only growing into the adults’ world, and they can’t sit still in a restaurant as their parents do, they need to run around, jump, and make loud noises. Indeed, there are certain rules in the society but don’t expect too much from your little kids and don’t expect them to know those rules by default. You may need to explain it to them several times, and it’s fine as long as you set an example by your own behavior, actions, and words. We may want our child to keep up with that other kid and try to make them study maths or dance or draw or play chess and we hurry them to do as many “useful” activities in a day as possible. Whereas in fact, we should just let them be and enjoy this time of their life. I bet you wouldn’t like to have your life fast-forward impatiently to your last breath so why do we make our kids skip everything in it and rush them to a next class or activity? Understand that slow pace is good for children and for you, too, when you’re together. We tend to get irritated by somebody who is always around, whom we often take for granted as a result (parents, kids, spouses). We forget that we all are mortal human beings and we should treat one another with greater care and appreciation. All we want for our children and loved ones is a long and happy life but we never know exactly how much time we actually have together. So why not turn all the potential moments of impatience and irritation into moments of acceptance and pure joy. If you want some ideas on that topic, go watch Two is a Family. I sincerely hope this movie will inspire you to be a better, more patient and loving parent to your kids. Accept your children as they are with their unique characters, behaviors, and flaws; not as you want them to be. Let go of any control and don’t expect them to be and behave like someone else. Some time ago I stumbled upon the book Zen Parent, Zen Child. I haven’t read it yet but I instantly liked the idea behind this eloquent title. You can use it, too, as another mantra to remind yourself that first of all your child learns from your example. So, if you want them to grow up into a patient, calm, mindful, and reasonable person then you should act like one now and make sure they’re watching. I always liked the beautiful word serenity and then one day decided to look up its definition. According to Oxford dictionary it is the state of being calm, peaceful, and untroubled. To me, it pretty much sounds like ultimate patience. If these three words resonate with you as much as they do with me, try to internalize this concept of staying calm, peaceful, and untroubled and live by it. When you do, you’ll find yourself dealing with all seemingly dramatic situations from this state of serenity and patience. Adopt the attitude of I don’t give a damn. I’m sure you know how children have this uncanny ability to do the exact thing that annoys you the most and repeat it until you’re driven crazy. Whether it be listening to their favorite song over and over again, or running and jumping into your lap countless times when you’ve sat down with a book, or sitting on top of a slide and banging it with their foot instead of just sliding down, it always seems they know intrinsically how to get at you :). Our immediate reaction would be to ask them, please, to stop, and that is a huge mistake. It encourages them to go on with their annoying thing as if with the sole purpose of testing our patience, our limits, and their power to push these very limits. So what I suggest is you don’t give a damn and let them do the thing until they get so bored with it that they drop it naturally. (Only make sure it doesn’t harm them, anyone around or their immediate environment). This way you’ll also be certain they won’t get back to a particular annoying activity out of an unsatisfied desire. SET OUT ON THE JOURNEY OF BECOMING PATIENT INSIDE, IN YOUR CORE. HERE ARE SOME TIPS TO HELP YOU ALONG THE WAY. I can’t emphasize enough the importance of sleeping well and feeling rested if you want to be a healthy human being in general and a patient mom to your kids in particular. However, it’s not only the amount of sleep you get that matters but its quality as well. And the easiest way of improving the quality of your sleep is to get in bed by 10:00 pm. It has been shown in numerous researches and experienced by many individuals (including me, if you will) that sleeping from 10 pm to 5 am is more beneficial and restorative than the same amount of sleep taken from 12 am to 7 am or from 2 am to 9 am. When you sleep well and enough, you wake up feeling refreshed and energized and are less likely to get edgy during the day. Please note: everyone is different and needs different amounts of sleep to feel good in the morning. So I encourage you to not just take my word for it but go try it and figure out what works best for you. Consider taking a vitamin B complex. It is well known that B vitamins play an essential part in regulating the nervous system. They can actually be that one mysterious thing to help tired moms get back on track. But, please, consult with your doctor first. Make it a habit to belly-breathe as often as possible instead of shallow chest breathing in order to resort to this stress-relieving technique when you most need it. This diaphragmatic breathing doesn’t only relax your muscles and nerves rapidly, it also improves your immune system and digestion, strengthens your lungs and helps you feel more confident and joyful. Patience for your kids and other family members comes from love, kindness, and respect for yourself first of all. Being kind to yourself means taking care of yourself before caring for anyone else. It’s not selfish at all. Actually, it’s quite the contrary. When you care for yourself enough, you start overflowing with care, love, and appreciation for others, so naturally, you want to be caring, loving, and patient with everyone around you. So, no matter how busy you may be, take out 20-30-50 minutes a day for yourself: read a chapter from the book you bought long ago, listen to your favorite music album (and dance to it in your bedroom), take a bubble bath, bake a pie trying out a new recipe, color in a full picture, write in your journal – do whatever pleases you, whatever fills you up with joy and makes you feel content. And remember, television, Netflix, social media should not be a part of your “only me” time. If you stay consistent with this routine, you’ll realize that when you allow yourself to do what you love every day, it’ll get much easier to stay calm and patient in the middle of any whirlwind situation. Another way to gain patience is to cultivate it. And if you want any lasting results, you should make consistent efforts every day. Train your patience muscles wherever you can. Use stairs instead of an elevator, take long walks in a park, don’t pick up the phone to check your social media while standing in a line at a grocery store, watch your kid having fun at a playground instead of checking your social media again, choose to walk to the nearest cafe instead of driving, cook dinner with your spouse instead of ordering a take-out. Even if you’re not a Buddhist, try reading the Teaching of Buddha. All religious aspects of it aside, it’s a very calming read that has an amazing effect: it makes you want to become more equanimous, more patient, more aware of everything you think, say, and do, and brings you the unparalleled peace of mind. Make being patient a habit. Getting your child to listen to you by talking patiently to them rather than yelling or acting irritated is a positive habit. Good habits are harder to acquire but last long. And it’s up to you to practice this habit consistently until it becomes an integral part of your attitude and interaction with your child. So how do you do it? According to Mel Robbins (at 22:42 in the video), it’s normal to feel impatient but acting impatient is a choice. The more you choose to act a certain way, the faster you put a new habit in place. So how about the next time you feel impatient, you don’t resist or suppress this emotion, you let yourself feel it but don’t act on it. Instead, you insert a different behavior: you forgive yourself for feeling it, then you count backwards from 5 to 1, and you respond patiently and mindfully to the situation at hand. And, please, do not be harsh on yourself if you fail a couple times, just keep acting this new way whenever you can. Meditate daily. Start with sitting down for as little as 5 minutes, then lengthen this period to 10-15-20 minutes, and then gradually add an evening session to your morning one. Meditation can become that one tool that will help you raise your awareness which in turn will help you gain more patience naturally. How does meditation hone your awareness (which is very useful in raising children)? When you’re meditating, you’re focusing your attention on your breath (on your nose area or on the rising and falling of your belly), in other words, you are aware of your breath. If your mind drifts away remembering something from your past or from your to-do list, or thinking about your plans, or sensing your surroundings in some way (sounds, smells, sensations on your skin or in your body), as soon as you get aware of that change of focus, you say “I was thinking” or “I sensed tingling”. You don’t put any emotion into it, you just acknowledge that it happened, and gently refocus on your breath. Over time you will train this awareness muscle so well that when you feel something itchy next time, you get instantly aware of two ways to respond to this sensation: to let it guide your hand to scratch the spot (as people would normally do), or just observe this sensation patiently and notice that eventually it will pass without any effort on your side. And that is one of the greatest lessons you can learn in meditation: when the awareness of your feelings and sensations is pretty high, you always have a choice to either let them guide you, even take over you, or observe them equanimously knowing that even the strongest outbursts of impatience or irritation will pass unless you let them devour you. Another profound realization you may get from your meditation practice is that often the problem lies not in your child but in you and in your perception of them. I know this truth may hurt bad but that’s why you’re here. 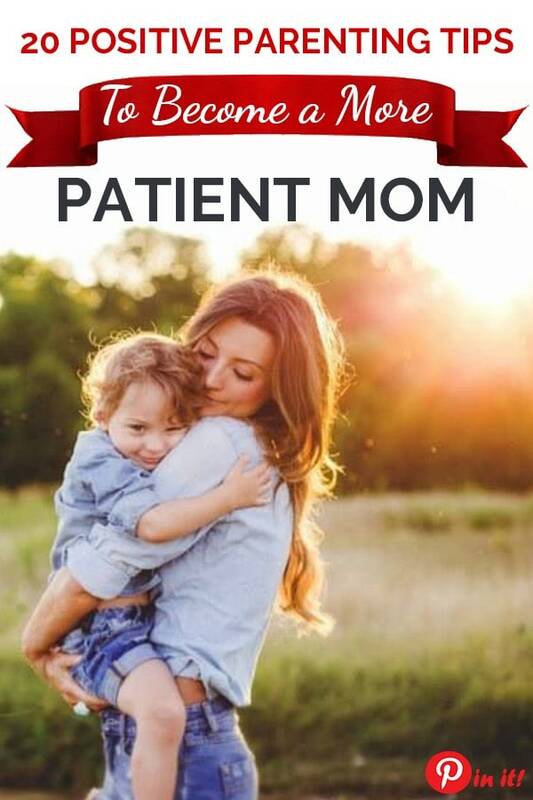 You’ve been looking for an answer to “how to be a more patient mom?” and not “how to make my child more compliant and obedient?”, right? It all means you want to make positive changes in yourself, not in anyone else. If you want more insight on this vast topic, I highly recommend you check out Dr. Shefali Tsabary on YouTube (her own channel, her appearances on other shows and channels) and on her website, or go read her latest book the Awakened Family. She’s the first person to speak and write widely about conscious parenting. It all may be very eye-opening and truth-revealing for you and sound very controversial or, as it was in my case, she articulates my often subconscious ideas about parenting and the influence we have on our children and they have on us. If nothing else seems to be working, fake it, fake patience by smiling when you enter your kid’s room and see it turned upside down. For the brain it’s all the same, it works both ways actually: calm happy mind ←→ calm happy smiling face. Force yourself to smile even if you’re not feeling it, and you’re going to feel it soon. And something miraculous will happen: you get physically unable to respond impatiently or angrily to anything mischievous your child would do or say. People smile because of their kind nature and good joyful mood, and it can also indicate they are smiling in order to get into a better mood. Again, don’t take my word for it, try this trick and little by little you’ll train yourself to smile in all unclear and tense situations resolving them peacefully. If you want some scientific evidence on that, read about facial feedback hypothesis on Wikipedia and watch this video by Jay Shetty. Love isn’t only a feeling, it’s a verb. When you love your children, you act accordingly. You care for them, you’re kind to them, you take everything patiently because that’s what all parents do and because you know that ultimately it will take you and them further and faster than anything else. Becoming a more patient mom is a work in progress. So be gentle to yourself and keep in mind that nobody’s perfect. Such changes don’t happen overnight but rather over a long period of time, and do you know why? You’ve set out on a journey to rewire your brain and your habitual responses so, please, take it slowly and patiently:). Do you have any other ways that help you stay patient with your kids? Share your ideas in the comments below, I would greatly appreciate it. These are real tips!!! Thank you as there are plenty and valuable ones! I’m glad to know you find these tips useful, Yasmina! It was a pleasure writing this article. Many of the tips I mention are hard-acquired through my personal experience, so your words mean a world to me! I’m happy to know that my work could improve some parts of your life. I feel terrible sometimes losing my patience. Sometimes I forget they are little and I want them to do things my way. And let me tell you I can really relate to how you feel about losing patience. But remember, it’s a journey, not a one-day change that you could make happen. So it’s up to you to move in the right direction, and my hope is you will try out some of the tips above and see the results you’re after. Take care and keep calm. First of all, Robyn, thank you for your kind words about my work! Second of all, thank you for offering your own ideas about anger. I’m certain that every resource related to the topic of losing patience with kids is important and valuable. And yes, I don’t doubt that sometimes anger can easily be coming from depression, and we may not even realise we’re suffering from it. Wow! You hit the nail on the head SO many times in this list…I truly believe in this very moment, I was meant to come across your article. Oh I believe that everything happens for a reason and that all things work for the better, Lauren, so you’re very welcome! Exactly what I needed to read right now. I am 33 weeks pregnant and finding that my patience is seriously lacking these days. Thank you for the great advice! Hi Svetlana! I wish I found your article sooner. Maybe then I wouldn’t have been so hard on myself and my kid. But for what it’s worth, at least I know that I am not the only mom who’s having a hard time defining myself and the situation I am in. Thank you so much for the great read! I found theses tips really helpful. Great article!